The exhibit was begun at the suggestion of Drs. 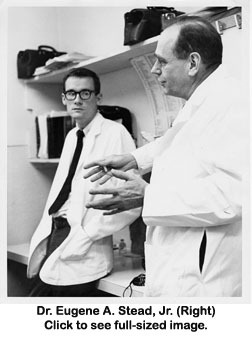 Galen Wagner and Brant Mittler, who were involved in the early years of the Duke Databank for Cardiovascular Disease and who remain committed to preserving its history. The databank itself was created through the vision of Dr. Eugene Stead, chair of the Duke Department of Medicine from 1946 to 1967. When the Department of Medicine received a MIRU [myocardial infarction research unit] grant to place a computer on the CCU [cardiac care unit] to monitor cardiology patients, it soon became clear that the nurses on the CCU were more valuable to the project than the computer. Dr. Stead, however, still saw the worth of computers in medicine, and foresaw that they could become an intricate part of patient care. His vision was that the computer be used hospital-wide as a "computerized textbook of medicine," replacing a doctor's fallible memory of how to treat a condition or disease with a computer's infallible memory of each patient treated in the hospital. 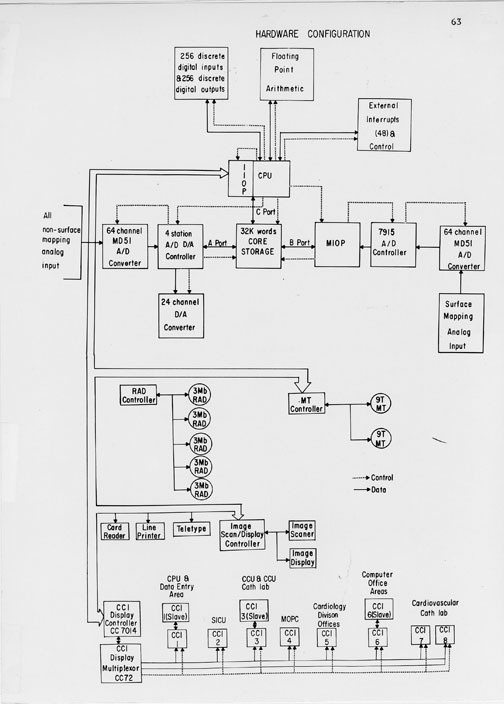 The computer therefore became a resource for information storage and retrieval within the Division of Cardiology, tracking specified characteristics of patients over time through the CCU and the cardiac catheterization laboratory. 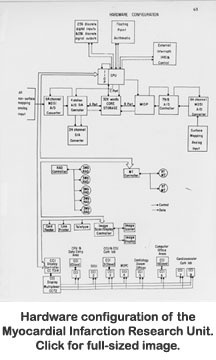 Although it was never used hospital-wide as Dr. Stead's "computerized textbook," the databank and its statistical models were frequently utilized for research that would change fundamentals of medical practice. The databank also eventually became useful in clinical trials under the leadership of Dr. Rob Califf. 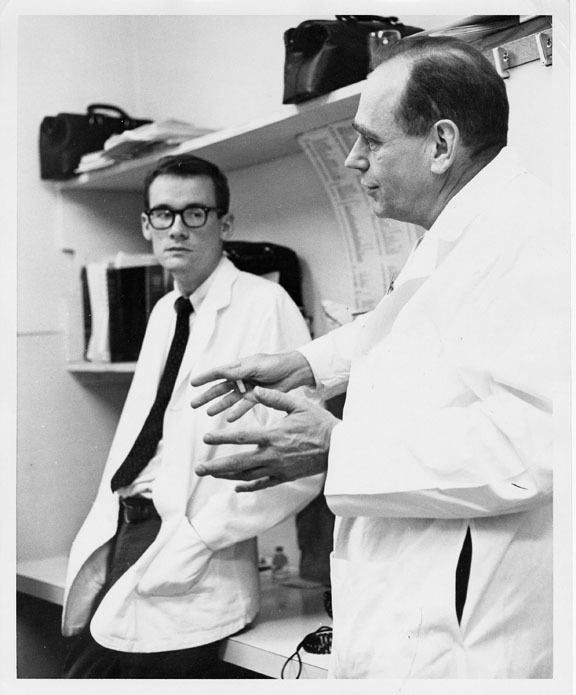 The value of clinical trials very quickly became obvious, and the Duke Clinical Research Institute [DCRI] was created, using variations on the concepts used in the databank. This exhibit will explore the history of the databank, the creation of the DCRI, and the stories of many of the people who were involved in that history.